Now you’ve been using Windows 10 for awhile, it’s easy to notice that the system theme is heavily based on light colors. It gets gray background in some system apps like Settings and the white title bar for all desktop programs. To make Windows 10 look a bit colorful, we covered a trick to color the title bar . But how about the dark background? 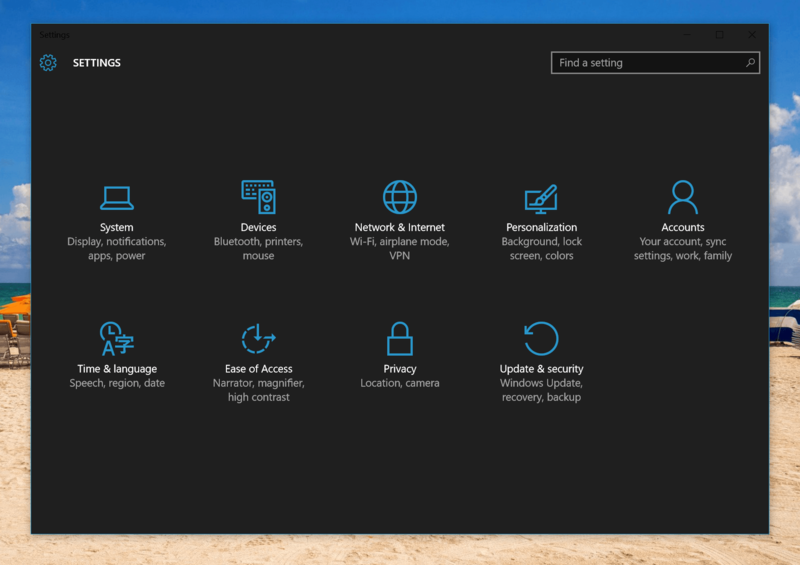 In Windows 10, the Taskbar, Start Menu, and Action Center are already painted in black. It should look cool if some other built-in apps can get a dark theme too. Despite the availability of dark theme in Microsoft Edge and Groove Music, many other built-in apps in Windows 10 feature light theme only. As far as I know, this trick will only enable dark theme in Settings and Store app. So don’t expect it will work on other apps like Mail, Calendar, or File Explorer. Before we start, you should know this will require some edit in your system Registry. It’s always a good idea to back up the Registry before you proceed. You’ll have to make change to two Registry keys. So here’s how to do it. First, open Registry by typing “regedit” into the search box on the Taskbar and press enter. Now you’re at Personalize key. 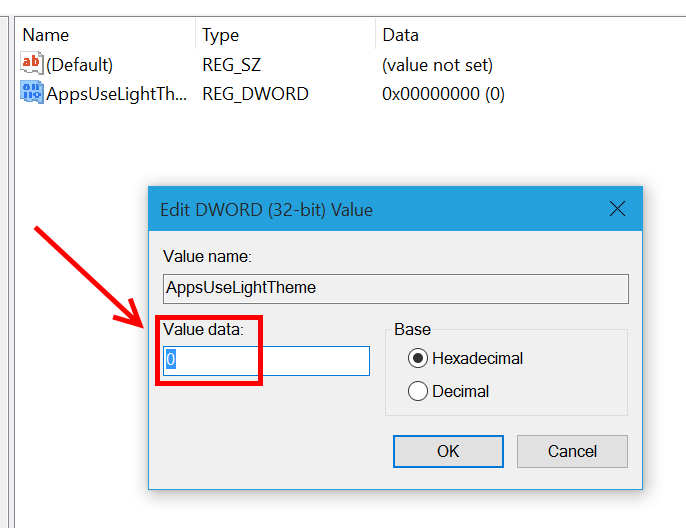 On the main pane on your right, right click the empty space and select New > DWORD (32-bit) value. Name the new value “AppsUseLightTheme” and set its value to 0. When you’re done, continue to change the second key below. Don’t forget to check the value to make sure it’s 0. 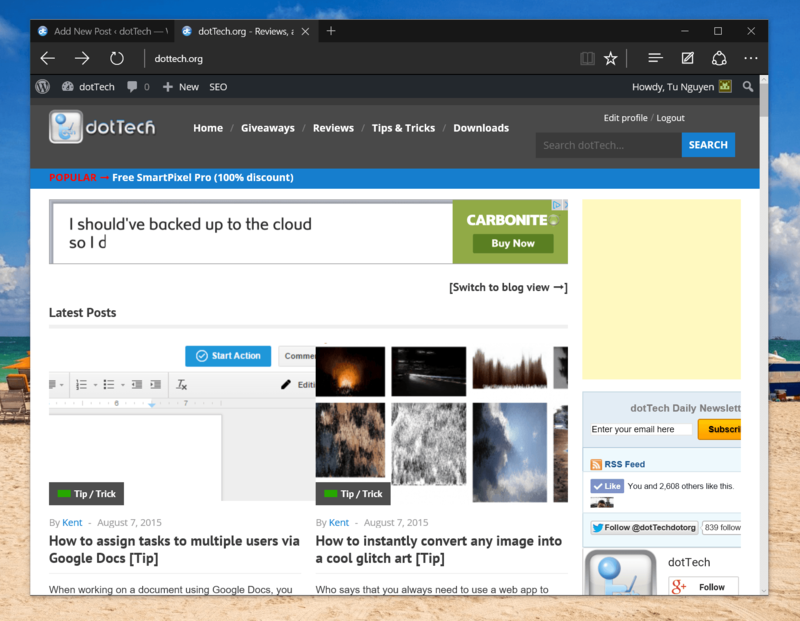 So you might now feel dark theme is not that pretty, going back is easy. All you need to do is navigate back to the two keys and change the value of “AppsUseLightTheme” to 1. Then sign out and back in to apply the change. That’s it!